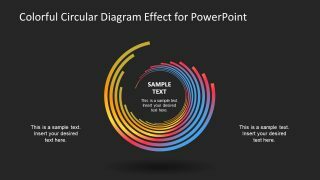 The Free Colorful Circular Diagram Effect for PowerPoint presents gradient swirl design. It is a rainbow color PowerPoint of many C-shape spirals creating a figure of a snail. This template is suitable for presenting artistic creativity using radiant colors and several spiral segments. Similarly, it could be used as a spiral diagram presentation of business theories and conceptual models. This shape of free diagram can also help in highlighting a topic or headline in the center. Because the swirl lines in the circular diagram lead in an inward direction. 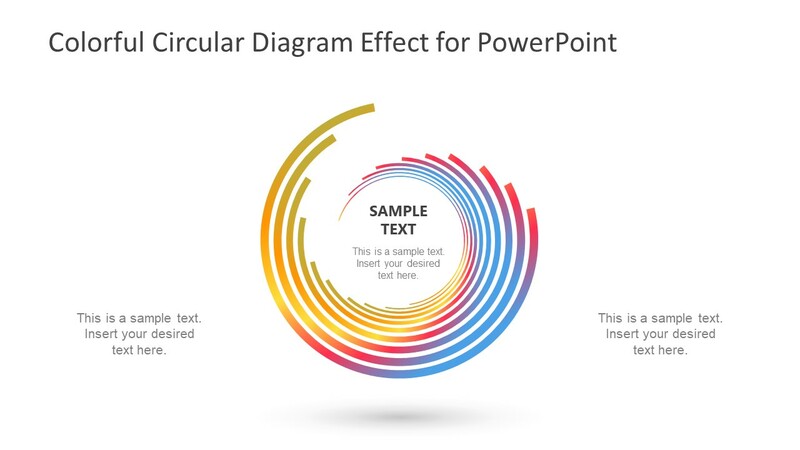 The free PowerPoint diagram of swirls contains two presentation layouts. i.e. white and black background versions. 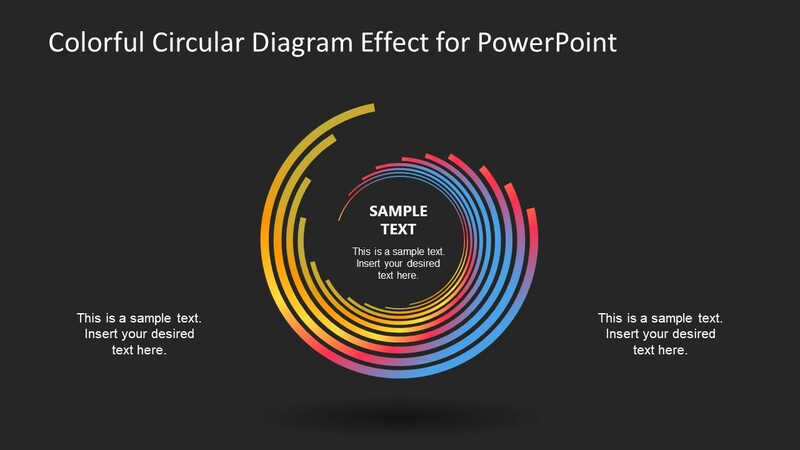 The Free Colorful Circular Diagram Effect for PowerPoint provides an eye-catching gradient layout. However, the customization feature of PowerPoint enables the users to change these color effects. For example, the one solid fill or another gradient combination. Furthermore, the users can resize the shape or edit points since the PowerPoint offers many advance customization features. This circular diagram is ideal of demonstrating circular workflow with center being the core of an entire system. Although the center contains a text placeholder to add title and small description or keywords. The users can insert a circular clipart icon or a photo to graphically represent the diagram. Moreover, the users can crop an image as circle-crop to fit inside swirl diagram effect. 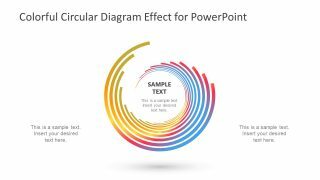 The free slides of colorful circular diagram are the dynamic designs showing bright and exciting PowerPoint effects. The use of bright colors enables the presenter to deliver a message while keeping the audience engaged. In this way, the viewers can relate certain keywords and topics to the graphics aiding to retain it longer. SlideModel.com contains additional colorful twirl diagram which can illustrate the zoom-in effect in PowerPoint.